Trusts & Estates Group Level of Service | Fafinski Mark & Johnson, P.A. 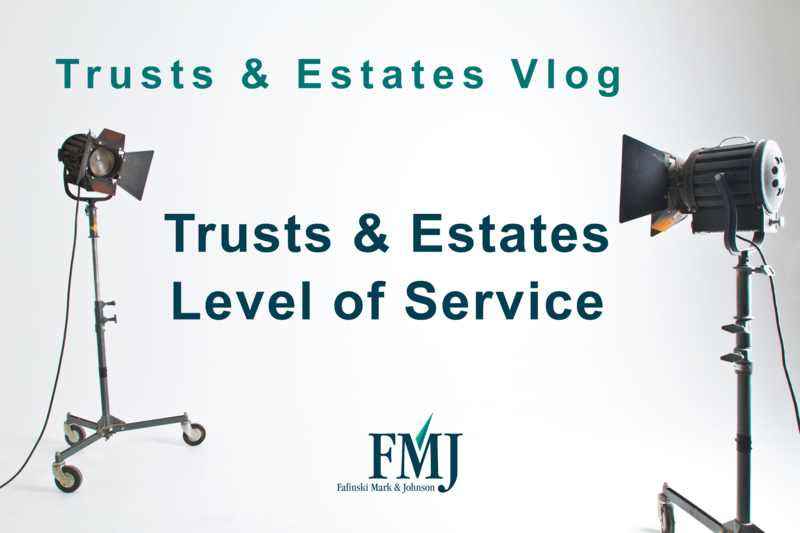 Last week, the Trusts & Estates group discussed the different services they offer – but what about the level of service they provide? Karen Schlotthauer, an attorney in our Trusts & Estates group, discusses the level of services clients can expect from FMJ’s Trusts & Estates group. If you need more information about our Trusts & Estates group, click here.